As a Japanese national living and working in Australia, I was shielded from the devastating physical effects of the earthquake and tsunami by distance. But the effect it had on my concept of home and belonging was immense. It caused me to reconsider and re-evaluate the cultural and emotional bonds that lie at the heart of understanding my identity and to reassess the importance and meaning of everyone’s need for a place to call home. My choice of primary material is key to this exploration. 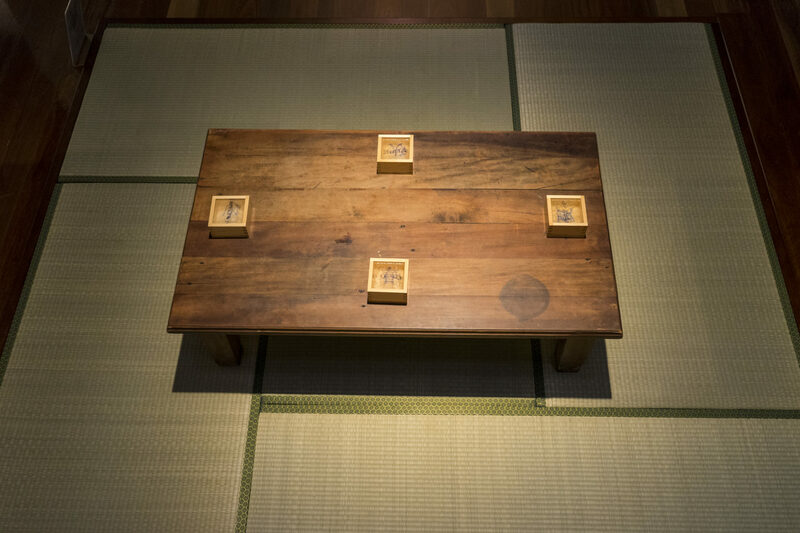 Few materials speak of Japanese culture as powerfully as wood. 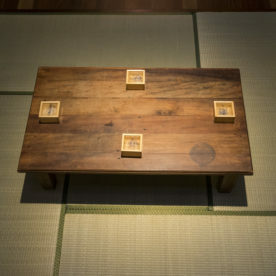 From the solid framework of a family home to the gilded and lacquered statues of deities worshipped in temples and shrines to the traditional wooden shoes called geta that are worn with the kimono, wood in all its forms has always been an integral part of Japanese life. The personal circumstances that inspire my work are equally fundamental: home and belonging are concepts that we can all relate to. From living and working in a different country to simply taking a holiday and finding yourself in a new location, past memories of home are the yardstick by which we measure our place in the present. The strength of those responses depends on many factors, such as the length of time spent away from home, the connection we feel to a particular location, the cultural markers that define our understanding of home, and the relevance of our personal memories. 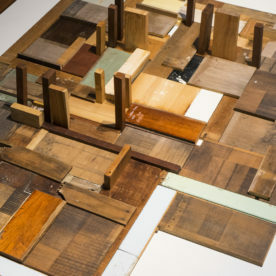 Through the processes of object making, assemblage, installation and traditional techniques, my practice explores the relationship between the materials I choose to use and the way they are influenced by, and in turn bring an influence to bear on, an emerging sense of home and belonging. Mika Nakamura-Mather DVA, BVA (Hons First Class). Mika has lived in Tokyo and London, where she worked for major, global advertising agencies. She has been a resident of Australia since 2003, living in both Sydney and Brisbane. 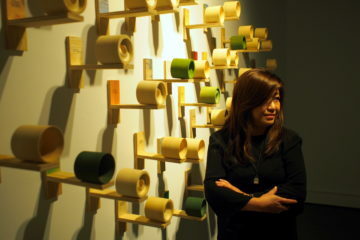 She is a graduate of the Queensland College of Art, Griffith University. 2017 Doctor of Visual Arts (DVA), Queensland College of Art, Griffith University. 2012 BA Visual Arts (Hons First Class), Queensland College of Art, Griffith University. 2011 BA Visual Arts, Queensland College of Art, Griffith University. St Andrew’s War Memorial Hospital Art Prize 2011 – 15, Exhibition catalogue. St Andrew’s War Memorial Hospital Art Prize 2011 – 13, Exhibition catalogue. 2019 – As yet untitled solo exhibition Nov-Jan, Artspace Mackay, Queensland, Australia. 2018 – The Year Round Window, Onespace Gallery, Brisbane, Australia. 2018 – The Floating Word, Caboolture Gallery, Queensland, Australia. 2017- The Floating Word, Webb Gallery and Project Gallery, QCA Griffith University, Brisbane, Australia. 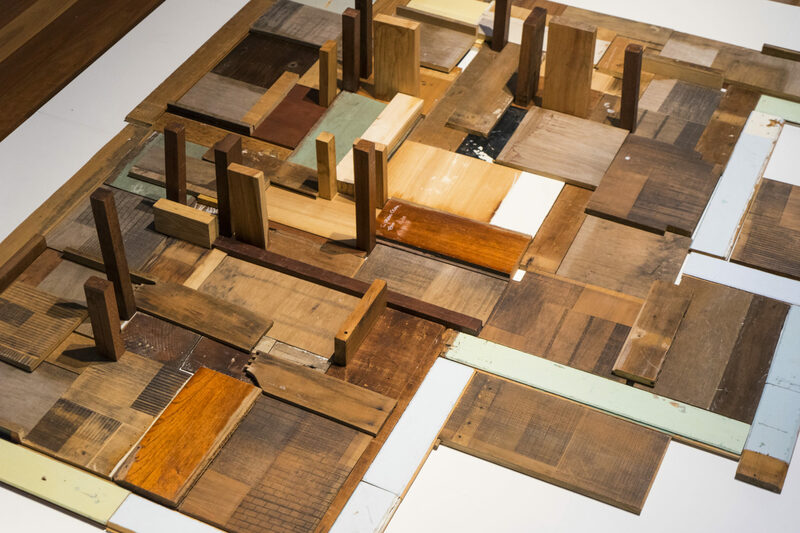 2015 – The Silent Sadness of Decay Theory, Bosz Gallery, Brisbane. 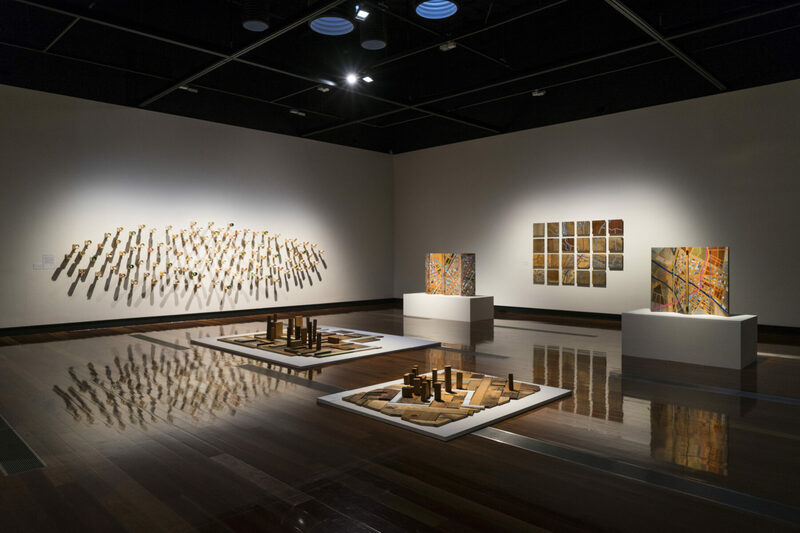 2014 – Fragments, Webb Gallery, Griffith University, Brisbane, Australia. 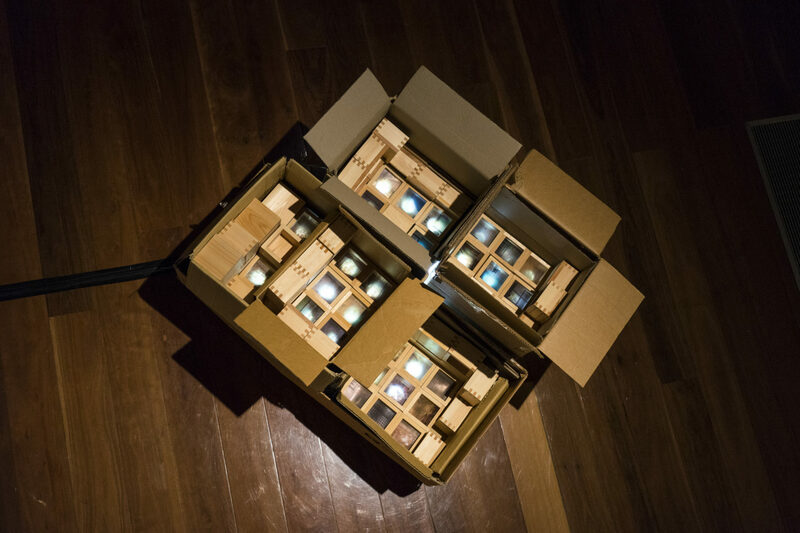 2013- Performing Home, Woolloongabba Gallery Brisbane, Australia. 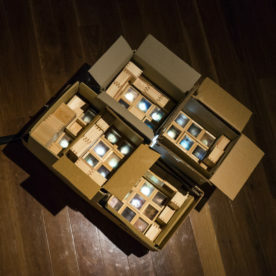 2019 – Nakanojo Biennale 2019, Japan. 2018/2019 – Linden Postcard Show, Linden New Arts, Melbourne. 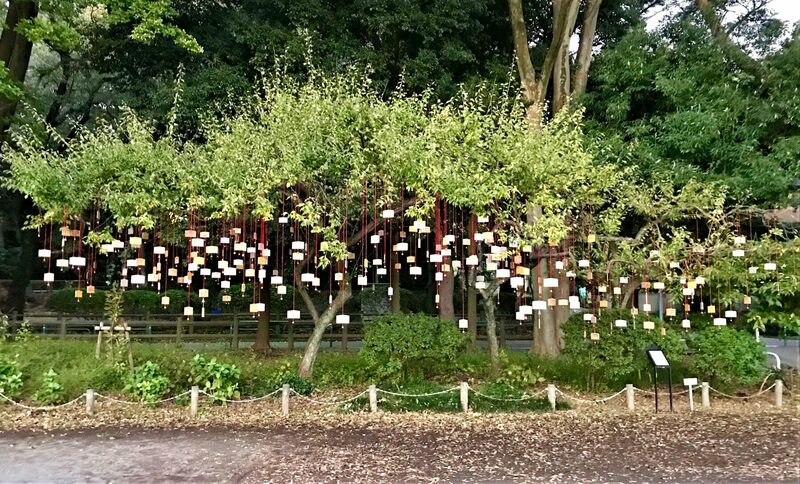 2017 – Trolls in The Park International Art Festival, Tokyo. 2016 – St Andrew’s War Memorial Hospital Art Prize 2011 – 15 – St Andrew’s Hospital, Brisbane. 2016 – Souvenirs from Elsewhere – Woolloongabba Art Gallery, Brisbane. 2015 – Fohn, Tokyo University of the Arts, Japan. October – November, 2017. Two months at Youkobo Art Residency, Tokyo. 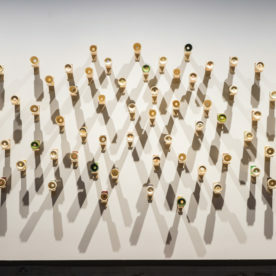 Merit Award, Moreton Bay Art swards, 2016. 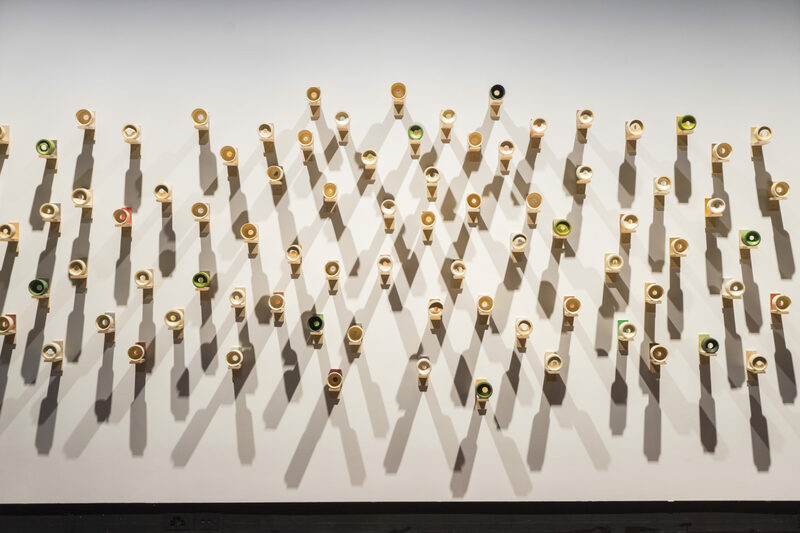 3rd Prize, Brisbane Recycled Art Prize, 2015. Winner, St Andrew’s Art Prize, 2012. Griffith University Award for Academic Excellence, 2009,2010,2011.